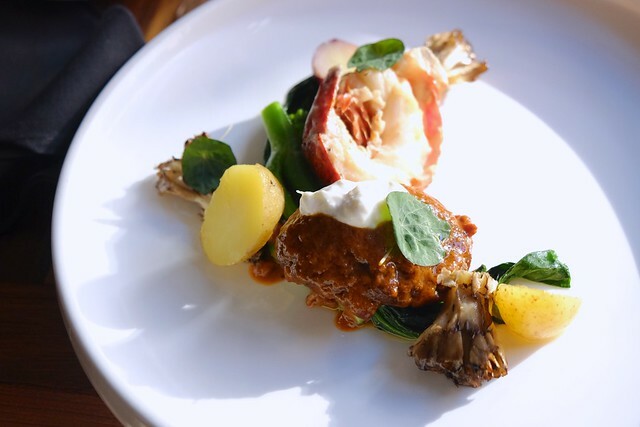 Yaletown—(January 12, 2016) We are now in the thick of the fifteenth annual Dine Out Vancouver Festival season. 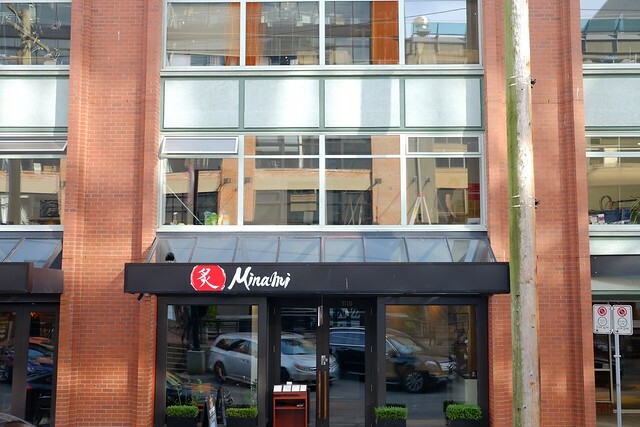 Our Tourism Vancouver restaurant tour hit Minami Restaurant of Aburi Restaurants to sample their three-course lunch ($30) and four-course dinner ($40) set menus. 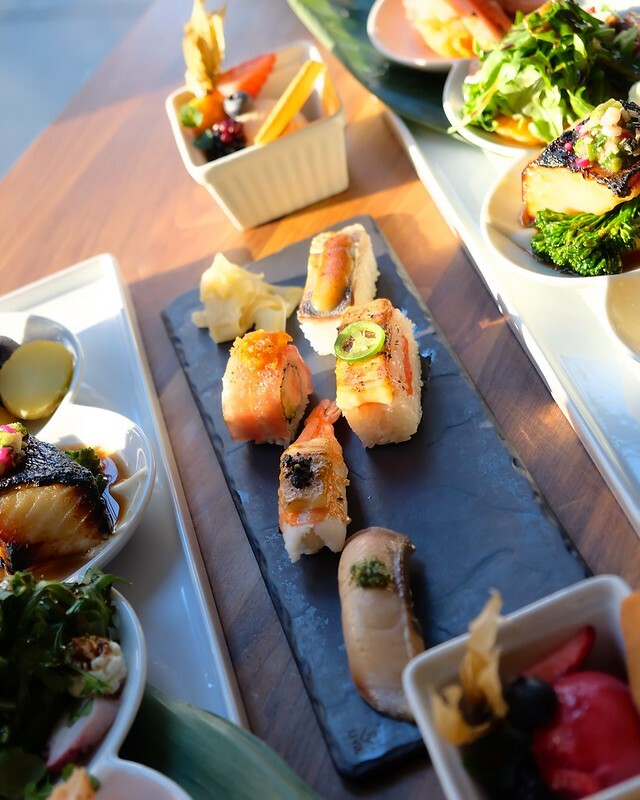 Minami's DOVF lunch and dinner menus offer a nice variety of items from their kitchen and sushi bar all making for a diverse mix of culinary efforts. To start, their dinner market beets and citrus (with Okanagan goat cheese mousse, wild baby arugula, basil pesto, yuzu marmalade, and soy balsamic reduction) was a light but refreshing appetizer whetting our tastes for more fine Japanese cuisine. 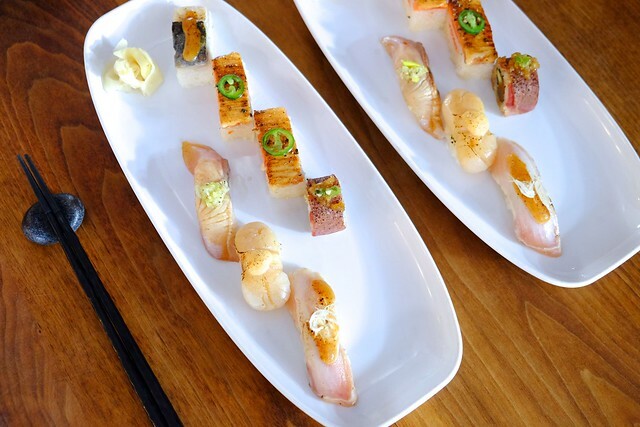 Next, the Minami signature sushi (a selection of flame-seared aburi oshi, roll, and nigiri) platter is always a exquisitely prepared culinary seafood treat. For dinner entrées, between the two "surf" options, both the sesame soy glazed Obie braiser and coconut poached half lobster tail (with market vegetables, baby potato fondant, and wasabi horseradish, above) and miso sakekasu baked sablefish and coconut poached half lobster tail (with sunchoke cauliflower purée, shaved candy cane beet, spiced broccolini, and wasabi ginger relish) were dynamite and very nicely prepared. I'd lean towards the braiser option for a better balance and contrast of meaty flavours (and as a sucker for anything surf and turf). 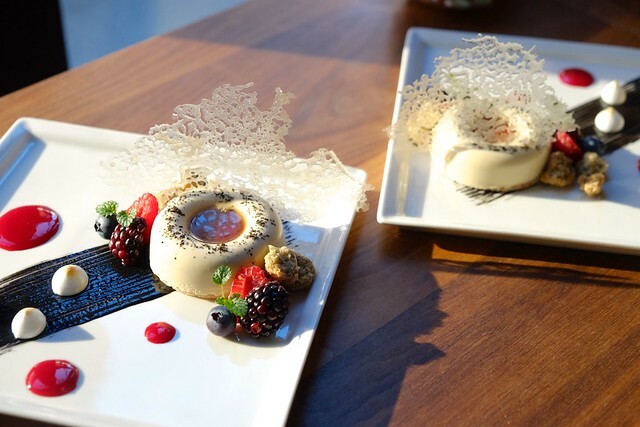 The capper of Hōjicha mousse (with white chocolate shortbread, ginger crumble, raspberry could, and fresh berries) for dessert was a sweet and refreshingly delightful end of meal treat—as was the house made sorbet for lunch. In all, Minami's prix fixe menu mostly features a nice and tidy culinary encapsulation of what they have to offer. 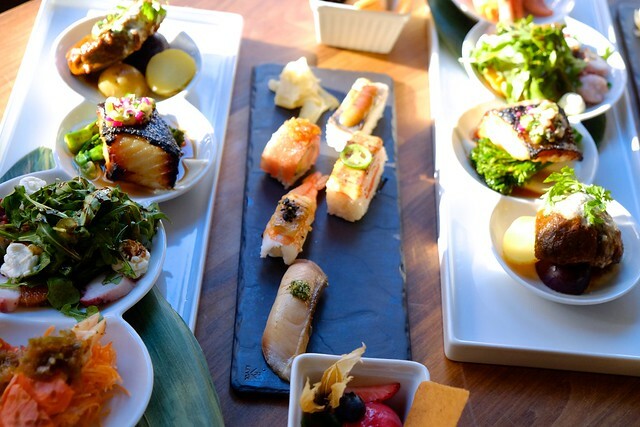 It's a safe and affordable chance to try their upscale Japanese dining. 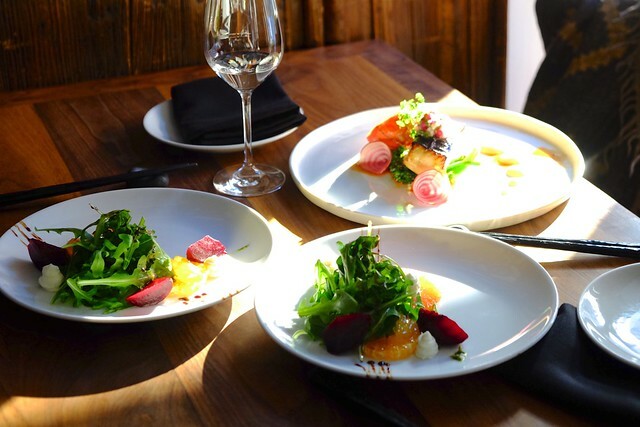 Dine Out is on now and runs until February 5th.